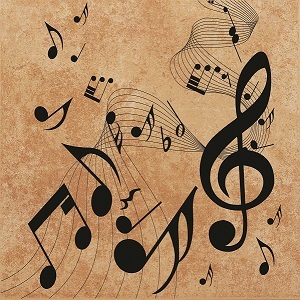 “Music gives us a language that cuts across the disciplines, helps us to see connections and brings a more coherent meaning to our world.” This quotation by Ernest Boyer, the president of the Carnegie Foundation, represents exactly what Gail S. Phillips hopes to pass on to her students. Combining her love of children with her passion for music, she has been a band and orchestra teacher in the Music Exploratory program in the Central Valley School District since 2017. There, she sets a high standard for her students while also allowing them to learn and grow in a fun environment. Her goal is to help kids realize the connective power of music. Prior to her current position, Ms. Phillips was a teacher and the director of bands at Chase Middle School, an orchestra director at Bowdish Middle School of the Central Valley School District, a member of the strategic planning committee of the West Valley School District, a substitute teacher in the Coeur d’Alene School District, and a band director for the Medical Lake School District, Kalles Junior High, Totem Middle School, Rainier Junior High, Cascade Junior High, and Gonzaga Preparatory School. She was also an elementary band director for Mead School District 354 and the Medical Lake School District, a teacher for Federal Way High School, and a brass and marching band instructor for the Imperials Summer Band Program. Further, Ms. Phillips held positions like teacher of the Student Mentoring Program, PTA faculty adviser of Totem Middle School, vice president of the Eastern Washington chapter of the National Association for Music Education, and secretary of the student chapter of the National Association for Music Education. She prepared for her endeavors by earning a Master of Arts in music education, a Bachelor of Music Education, and a Bachelor of Music Performance from Eastern Washington University and an Associate of Arts from Spokane Falls Community College. Ms. Phillips’ hard work and dedication has not gone unnoticed. She won a Washington Music Educators Association (WMEA) Hall of Fame Award in 2017, second place at the Washington State Autumn Leaf Festival in 2015, and first place at the Coeurd’Alene/Silverwood Jazz Festival from 2014 to 2016. She has also been honored with first place at the Junior Lilac Parade, the Lilac Parade, the Eastern Washington University Jazz Festival, the Pasco Jazz Festival, and the Bellevue Jazz Festival, among others, and with a photo in the Voice Magazine. Her achievements were highlighted in four editions of Who’s Who of American Women. If Ms. Phillips could offer some advice to the younger generations, it would be to keep an open mind, be flexible to changes, and to always keep learning. She intends to continue her working with students and playing her instruments moving forward. She is currently a trumpeter for the Spokane British Brass Band.